At its core, American culture is one of inclusiveness. This land is a setting in which individuality is celebrated, for Americans know that this makes for a stronger collective. From indigenous Americans, to those who have lived here for generations, to first- and second-generation immigrants making a new home for themselves, each individual and all of their communities add unique and nuanced elements to what shapes the identity of the American people: a rich identity founded on diversity and inclusion. These ideals, and the people and institutions that uphold them, are what make the United States such a strong, vibrant, and productive nation. Alavi Foundation, since its inception in 1973, has incorporated these principles into its own identity. Alavi is a charitable organization which, through philanthropy and community support, supports interfaith harmony, religious and cultural education, and societal progress. 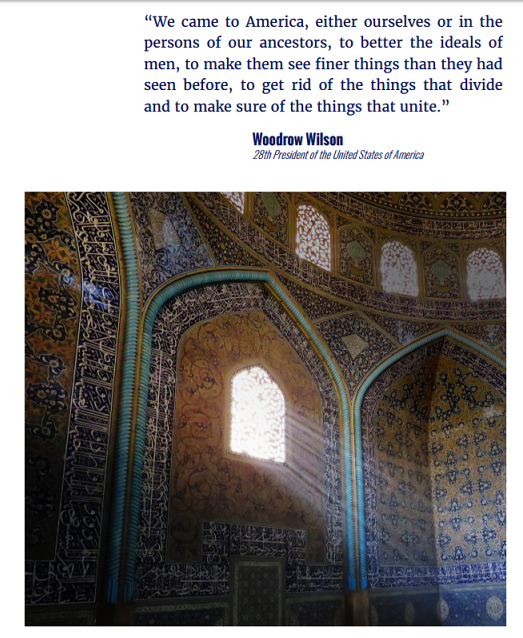 The Foundation is devoted to the advancement and understanding of Persian and Islamic cultures, heritage, and history, here in the United States. The Foundation boasts over 40 years of tireless dedication to education, pluralism, and cultural edification. These efforts have made Alavi Foundation a fixture for institutions and communities throughout America. Alavi's contributions to furthering Islamic and Persian culture serve a diverse array of institutions throughout the country. In particular, Alavi Foundation generates philanthropic contributions and grants to organizations and institutions throughout Muslim-American and Iranian-American communities. From the most innovative companies that produce the products that the world runs on, to agencies that the American government runs on, to the institutions that serve and educate our nation, to just about every field in America's professional and entrepreneurial landscape, Americans of Persian and of Muslim descent contribute to the growth and strength of this great nation. Providing support and services to those that offer so much to American culture and progress is the Alavi Foundation's badge of honor. Alavi Foundation invites you to learn about its past and current efforts, and its future outlook.